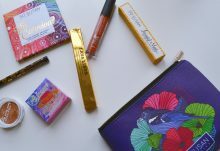 Box of Style is a quarterly subscription box that sends out a mix of beauty, fashion, and lifestyle products. 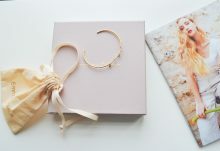 Each box contains luxury products that are worth over $400. 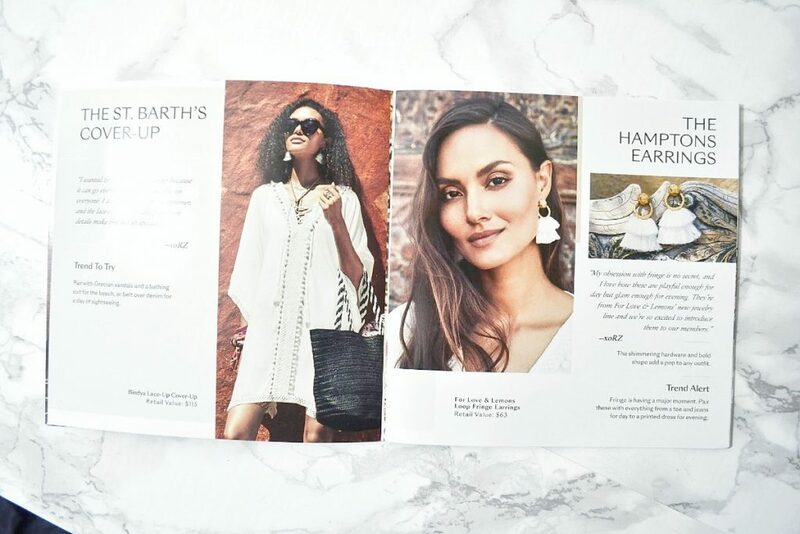 Each box is curated by fashion designer Rachel Zoe, who draws on both trends and classic style. 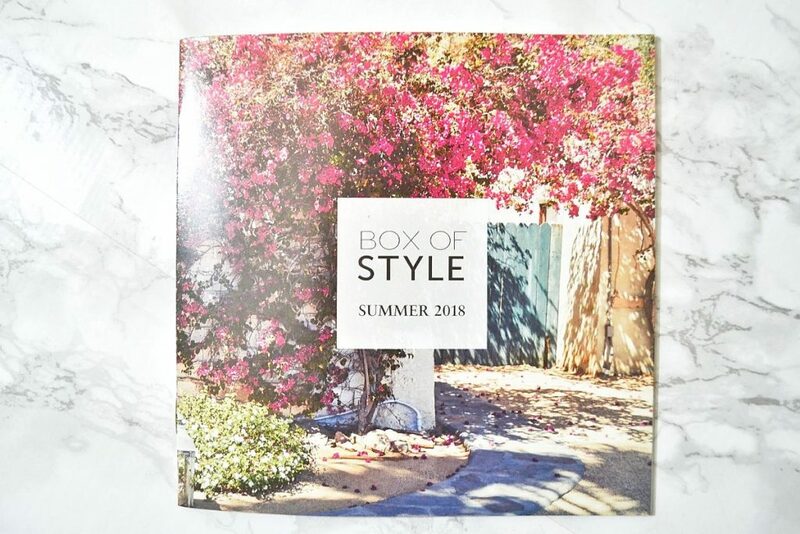 Box of Style has two subscription options, $99 per season, or $349.99 per year. 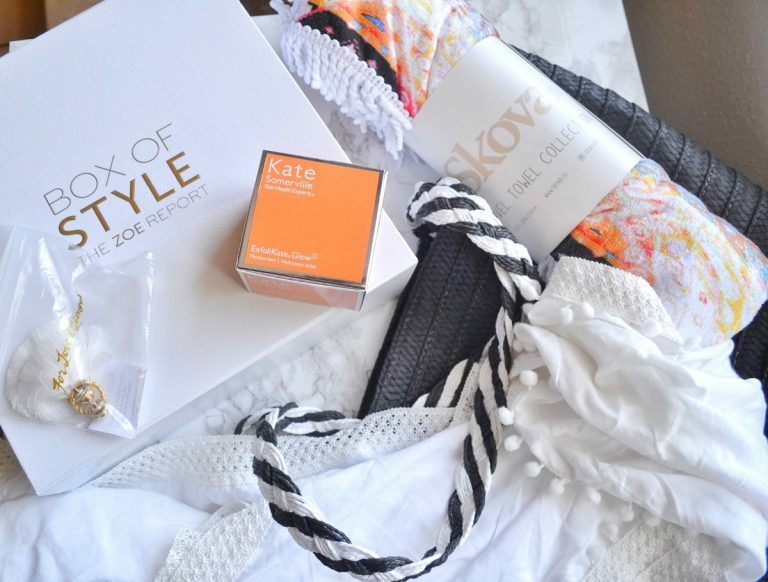 Today I will be receiving Summer’s Box of Style. It arrived in a large brown cardboard box, with items loose inside. 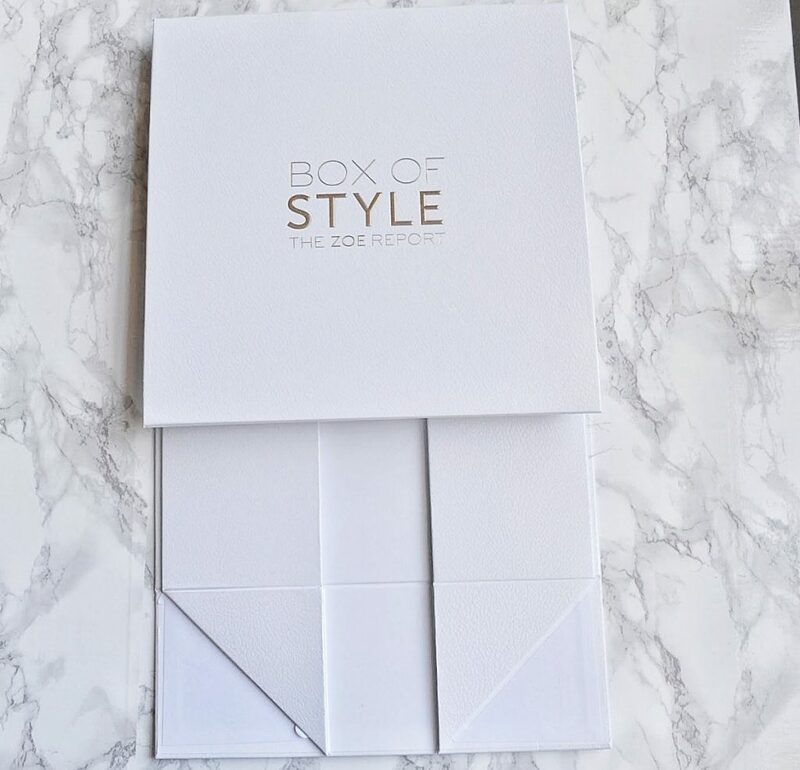 The actual Box of Style packaging lay inside unassembled. 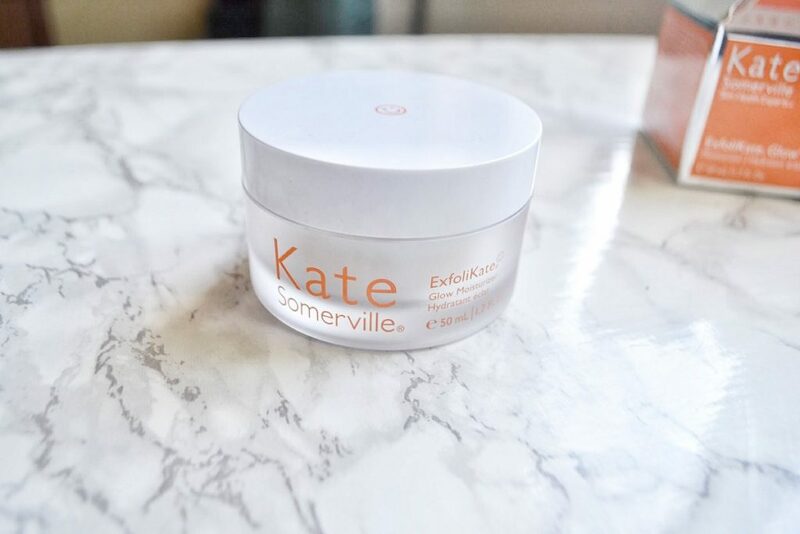 I have used Kate Somerville skincare products in the past, and I’ve always been impressed. 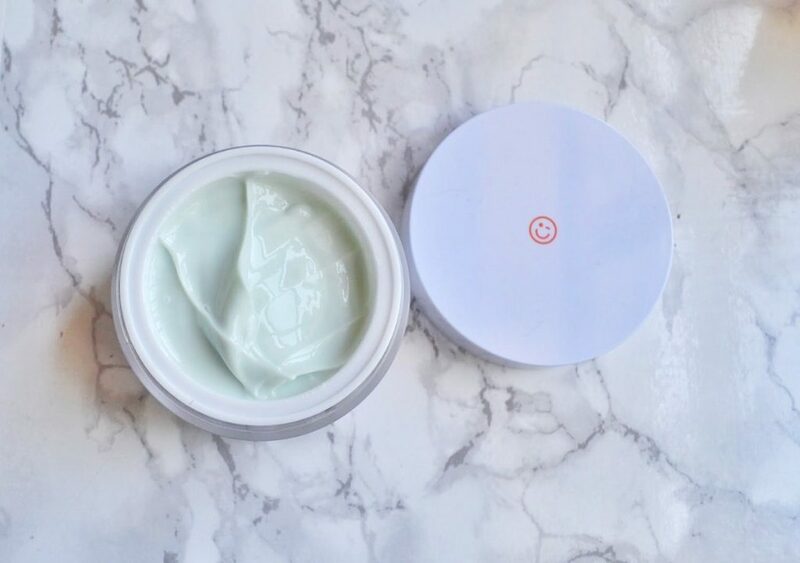 This light green moisturizer has ingredients such as pumpkin, pineapple, and papaya enzymes, which reduce dullness and improve skin texture. I was a little surprised to see a warning label on the box which stated that this moisturizer increases your risk of sunburn. 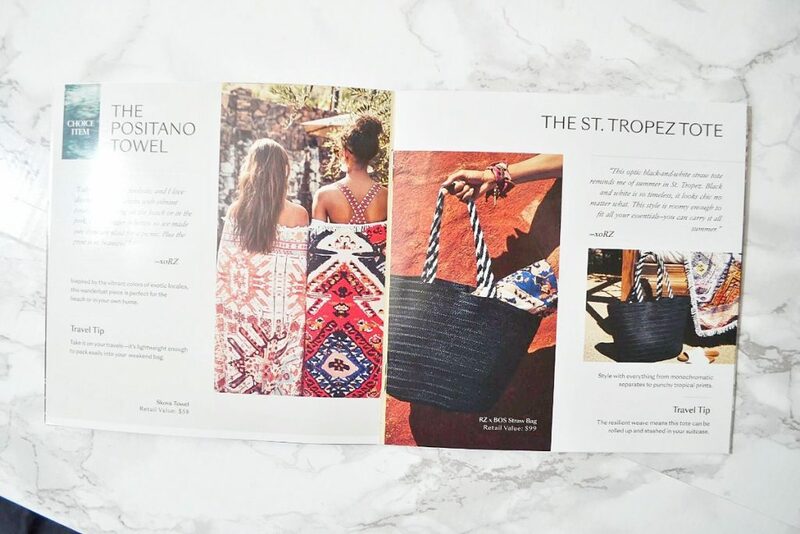 I thought it was odd for Box of Style to include this in the Summer box, when the sun is intense. The actual moisturizer performs well; it smells amazing, and always leaves my skin smooth and fresh. 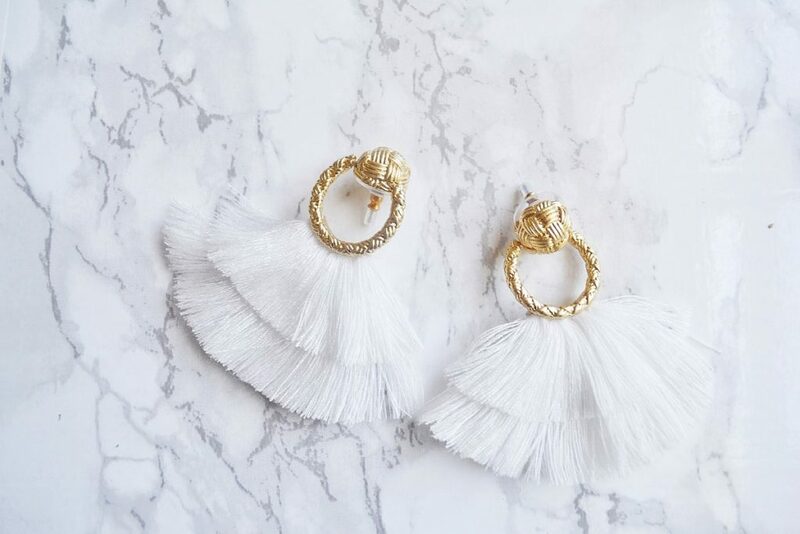 I am obsessed with these white fringe earrings. 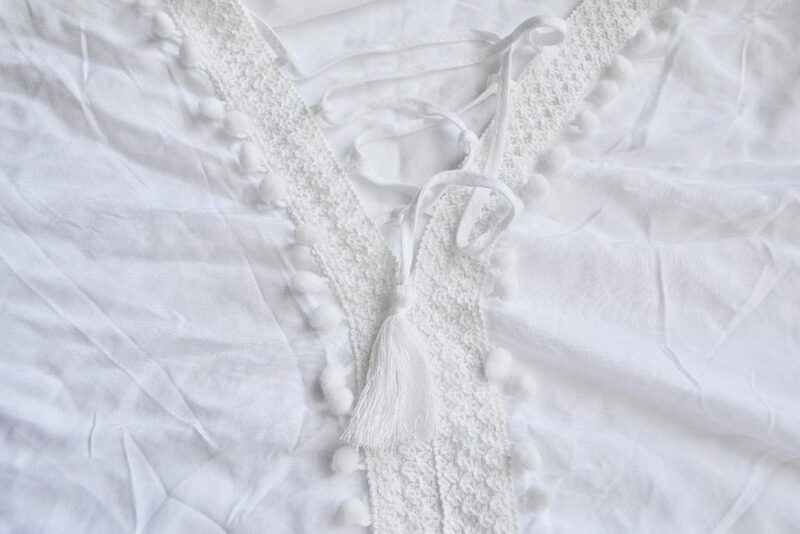 Their bright white color contrasts beautifully against tanned summer skin, and the fringe is too cute. I especially love the detailed gold posts! 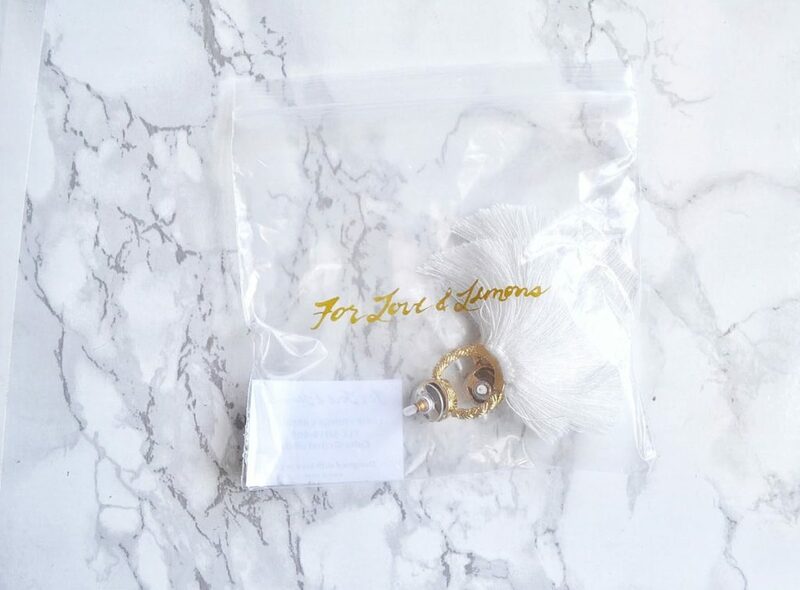 These earrings instantly make any outfit look 100% more put together! 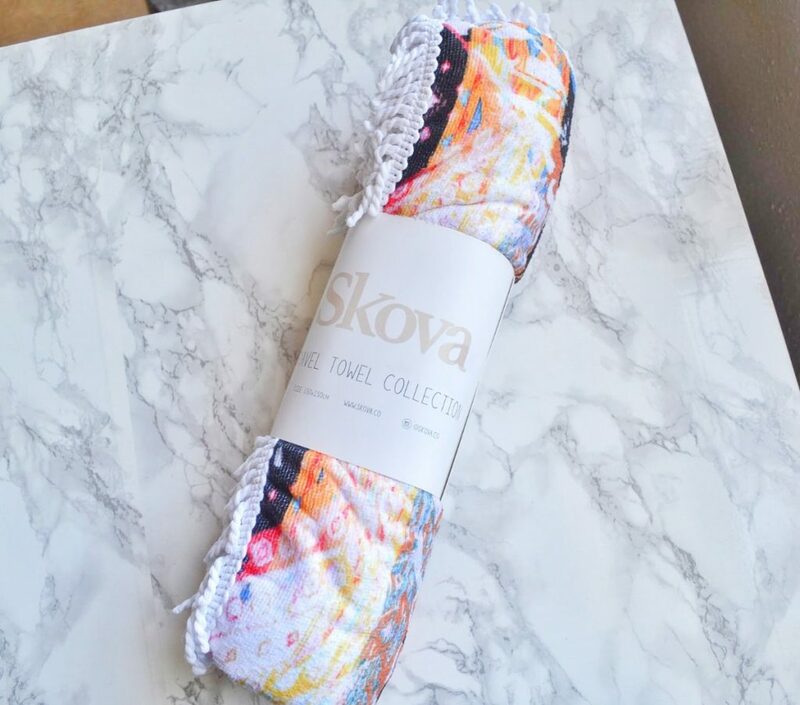 This towel is part of the Kilim Travel Towel set, which is inspired by the designer’s trip to Turkey. 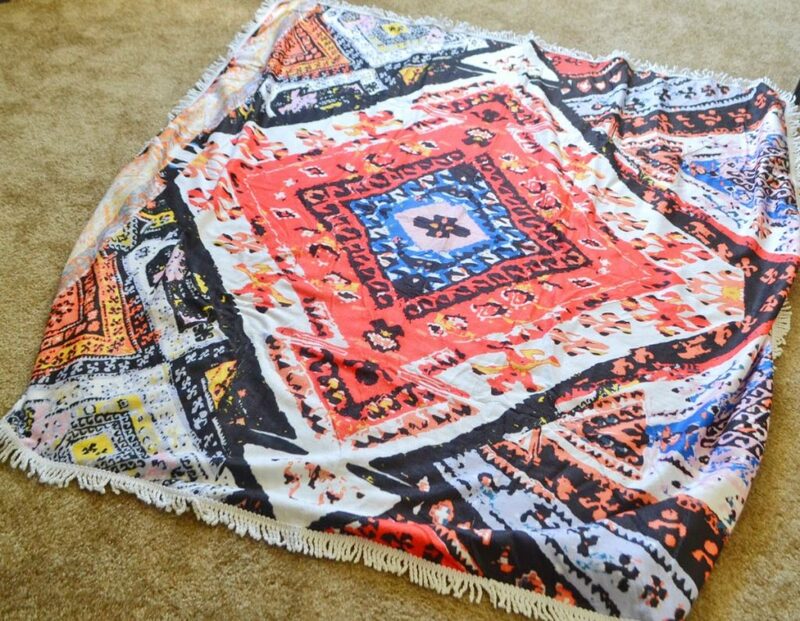 I love the bright colors of this Turkish-style towel! It is really soft, and quite huge as well! The towel measures 5′ by 5′. 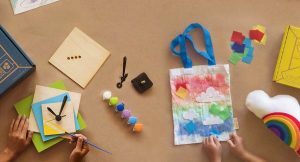 Just look at this colorful design! 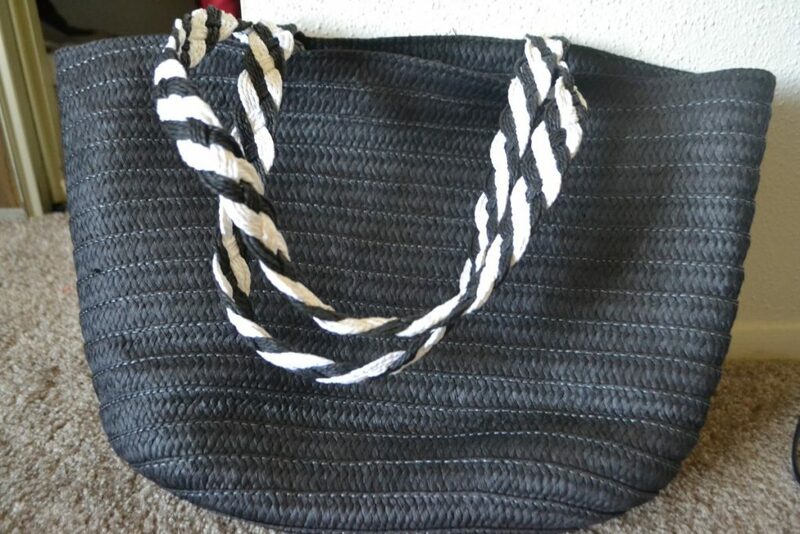 This tote is gigantic, and can easily hold all of my pool essentials: towels, a bathing suit, books, snacks, and more! Seriously, this thing is giant. I love its woven texture, and it can easily be rolled up. I quite like the black and white striped handle! I’ve gotten so much use out of this bag, and it’s my favorite item in this box. 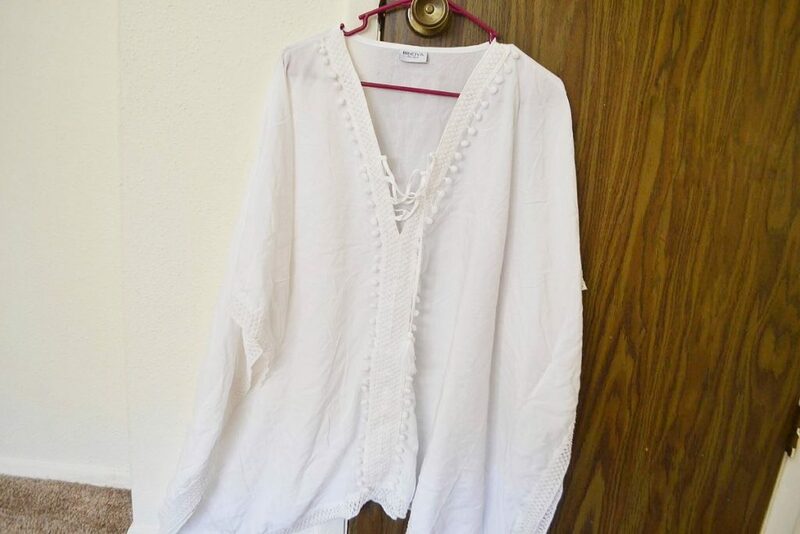 I definitely would not pay $115 for this cover-up; it came with a lot of loose strings, and the material is flimsy and easily wrinkled. Also, it is giant on me and swallows me in fabric. That’s really saying something, because I’m not small by any means. The cover-up cute, and I quite like the pom pom design, but I wish the box had included a different piece of clothing. I really loved the tropical print kimono last month, and I was hoping for something of similar quality. I really loved 4 out of the 5 items in this box. The items fit the summery theme (with the exception of the sunburn-inducing moisturizer), and the overall value was a whopping $404. That’s over quadruple the cost of a subscription! Last season’s box is still my favorite I’ve reviewed so far, but I do think this is a solid runner up. 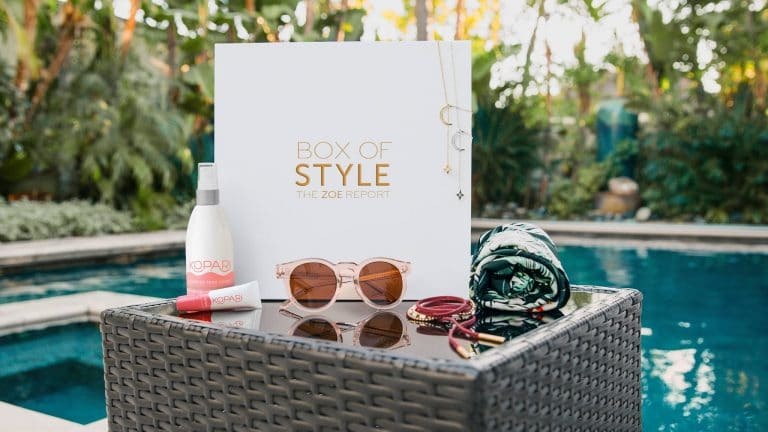 How would you rate Box of Style from The Zoe Report ?